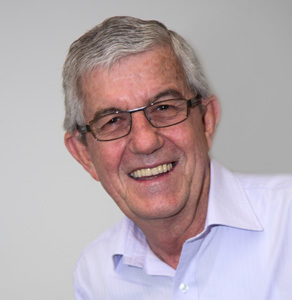 John is one of Stratacare’s most senior and experienced industry professionals. He manages the Body Corporates of a wide-ranging portfolio of both residential and commercial schemes. In addition to facilitating meeting arrangements and coordinating administrative matters, John deploys his signature acumen, agility and sense of humour to respond to daily enquiries and resolve ad hoc issues. On-site Managers and Body Corporate Committee members all value John’s insights regarding their respective rights and responsibilities. Importantly, John appreciates and respects the complexity of the relationship between both parties. He too resides in a strata-titled unit and understands — firsthand — the interplay between owners and managers. John’s impressive work history includes a three-year engagement with one of Dubai’s biggest developers. International City, Discovery Gardens and The Palm Jumeriah are among the schemes he has strata managed. Closer to home, John launched his Australian strata-management career in 1999. His significant industry tenure, together with a Certificate IV in Body Corporate Management, position John as a much sought-after consultant. He is also a registered Justice of the Peace. A proponent of work-life balance, John enjoys sport but admits he’s an armchair competitor these days. However, he does get a workout outdoors. An avid green thumb, perhaps John’s patient and nurturing nature is the secret to his flourishing garden.